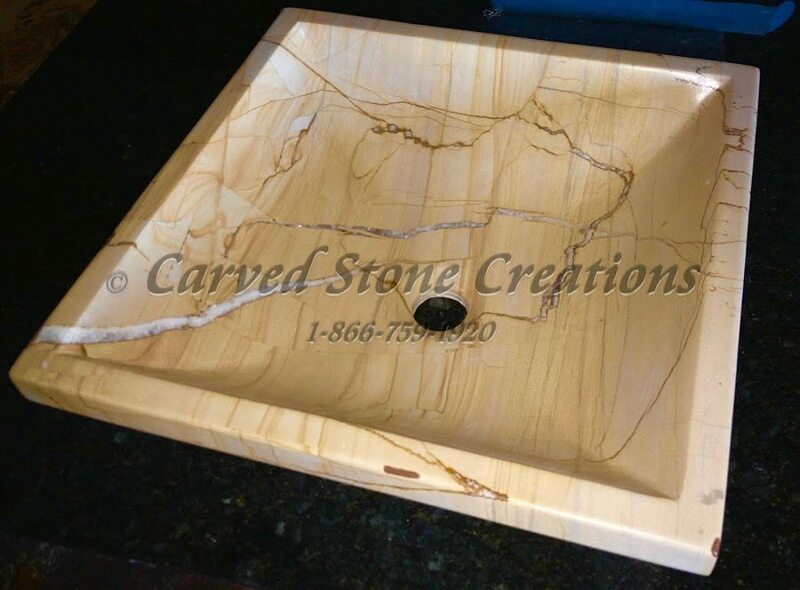 This sink doesnt need any intricate carving details to stand out! The natural beauty of the stone is mesmerizing on its own. Its simple elegance will give your bathroom a feeling of luxury. Depart from the usual round or oval sink designs and choose a contemporary square sink! 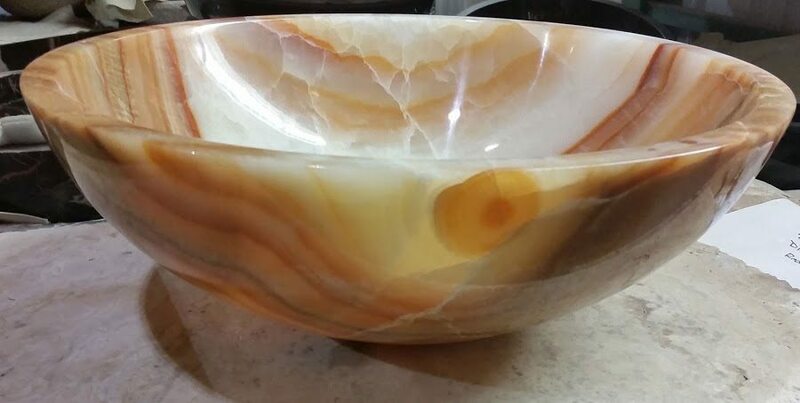 The combination of the warm stone color and sleek design creates an unexpected look. This marble sink is carved with stunning details throughout. It features an egg-dart carved design around the rim of the sink and ribbed leaf details inside the basin. This sink is sure to be the focal point of the whole room! This pedestal sink design draws inspiration from Southwestern architecture with its geometric shapes and clean lines. 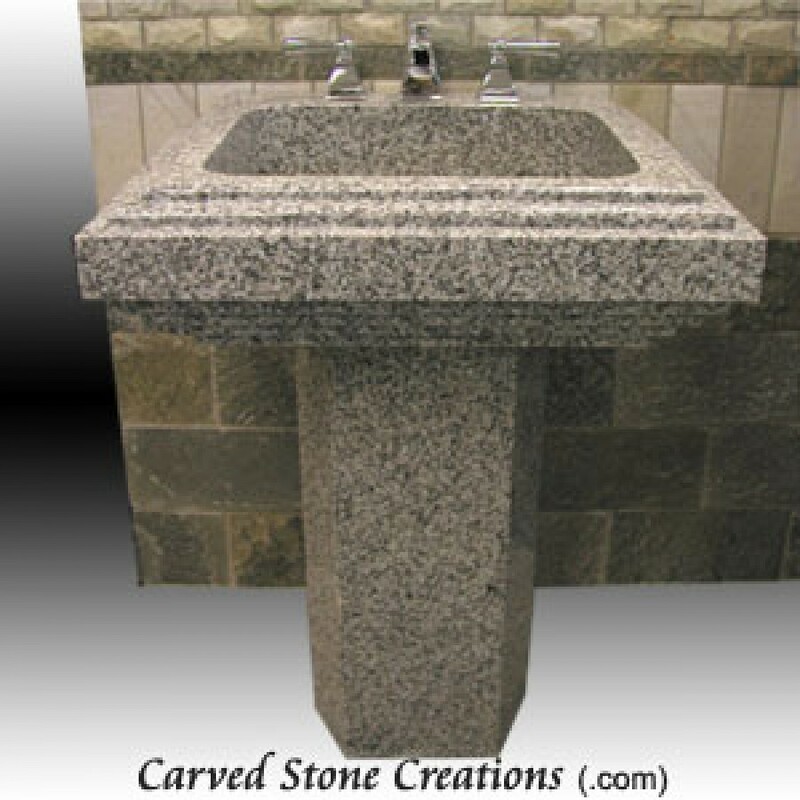 This sink is handcarved from Bianco Sardo granite, adding beauty and durability to the design. 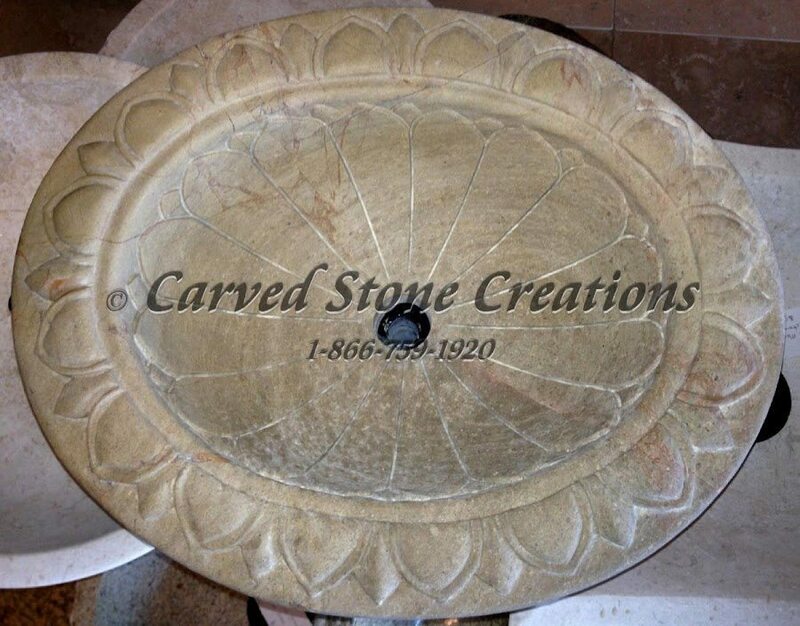 This sink is carved from a single rock and polished by hand to create a beautiful rustic vessel sink. The outside still resembles a rugged boulder while the basin is polished to reveal the dark shine inside the stone. Are you ready to add one of these unique sinks to your bathroom and spruce up your space? Contact us to get the design process started!